Yeah, I know we're all meant to be quitting sugar because it's the devil and whatever but you can't be mad about it when it's your hair getting all that sweet sweet sugar action! MATRIX have released the Biolage Sugarshine system for the latest in haircare indulgences, introducing what is essentially a sugar scrub for your weave. Why let your skin have all the fun? Having used the LUSH Jersey Bounce shampoo with scrubby bits included, I can totally appreciate how this could be a thing. There is something about a hair scrub that takes it to that next level of squeaky cleanliness. You can even use the Polishing Hair Scrub on your body which is an effective use of both time and product. Start from the top and work your way down! The cleansing shampoo and conditioner duo is designed to nourish and protect your freshly-scrubbed locks (as most conditioners are, I guess, hence the name) and deliver softness, smoothness and shine without weighing your weave down. Then we come to the hero of the piece, the SugarShine Illuminating Mist, which I was kindly sent to try out. My hair is fine and although I try and avoid wetting and / or blowdrying it too often, it is a necessary task at least once a week. Preventing fly-aways is totally my jam. The Illuminating Mist protects from heat styling tools, tames fly-aways and seals in shine for a brilliant, glossy finish. A quick spray prior to blow-drying, followed by another quick spray to damp down those pesky flyaways and I'm good to go. I noticed my hair stayed smoother for longer and there was noticeable luminosity which was quite pleasing. 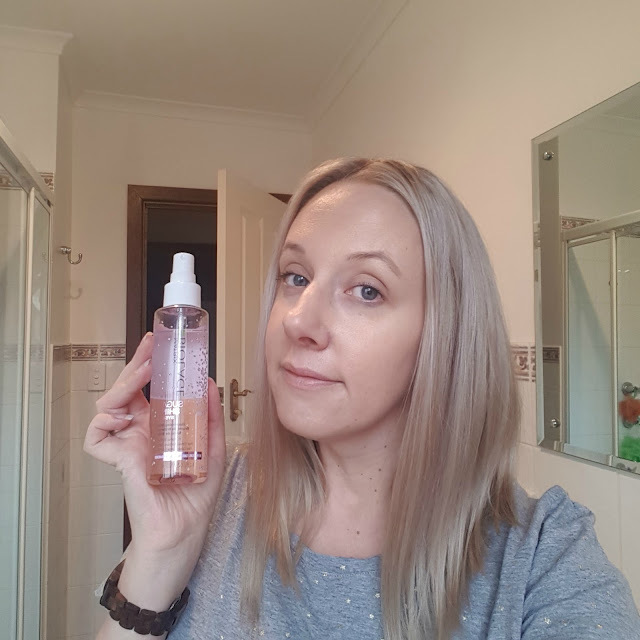 The Illuminating Mist usually retails for $31, available from selected salons and approved retailers, including Price Attack, Hairhouse Warehouse and the like, however I found it at RY.com.au for $24.81 - bargain! The Matrix Biolage SUGARSHINE Illuminating Mist was kindly provided for my review. First image supplied (it was better than mine) but all words, opinions and hair strands are my own and authentic although I'm not opposed to a clip-in weave by any means. For more information, please see my PR & Media policy.